When does Morning Sickness Start? When Should You See a Doctor About Morning Sickness? When Does Morning Sickness End? A small percentage of women never experience morning sickness at all during their pregnancy. Typically, most pregnant women do experience some amount of nausea during the early months of pregnancy, while approximately a third of all pregnant women experience vomiting. In most cases, morning sickness is not a dangerous condition, despite its unpleasantness. Despite its name, morning sickness can occur anytime throughout the day or evening during pregnancy. This term refers to the nausea and/or vomiting that often accompanies being pregnant. Morning sickness is a common ailment during the early stages of pregnancy, and so it is quite normal for women to experience it. Morning sickness generally begins during the first month of pregnancy and may continue throughout the third or fourth month. In terms of weeks, this ailment presents itself around the fourth or fifth week of gestation or between the fifth and sixth weeks after the first day of the woman’s last menstrual period. Currently, the exact cause of morning sickness remains disputed. However, the common belief is that hormonal changes trigger the symptoms of this condition. A number of contributing factors have all been recognized in regard to the occurrence of morning sickness including genetics, blood sugar levels, and lifestyle. More specifically, it is commonly thought that hormonal changes and a predisposition to this ailment are the primary causal factors for it, while secondary circumstances such as varying blood levels and lifestyle behavior enhance the symptoms of morning sickness. Hormonal changes during the gestation of the fetus involve differences in the production of estrogen as well as of the hormone HCG (human chorionic gonadotropin). These hormonal changes lead to feelings of nausea, and in some cases vomiting. As the woman’s body adjusts to the hormonal changes, her symptoms often become less apparent. As a woman’s dietary intake fluctuates, partly due to the hormonal changes, she experiences lower blood sugar levels, enhancing her morning-sickness symptoms. While hormonal changes and variations in blood sugar levels may initially cause the onset of morning sickness, certain other factors may be responsible for worsening these ailments. It is also believed that a woman’s lifestyle can affect the severity of her morning-sickness symptoms. Fatigue, emotional stress, smells, and traveling have all been mentioned as contributing factors to the severity of this ailment. How often a woman travels and to where can influence how she feels. How much sleep a woman gets each night can lower her ability to take hormonal changes in stride. How much stress she is experiencing in her daily activities can lower a woman’s ability to cope with physical changes. Certain smells may trigger or worsen a pregnant woman’s nausea, increasing the risk of vomiting. Morning sickness may actually be worse for women who are pregnant with twins, triplets, or larger numbers of fetuses. The symptoms may also last longer. The severity of morning sickness during one pregnancy is in no way an indicator of the severity of this ailment in later pregnancies. Therefore, an earlier experience with morning sickness cannot be used to predict how a woman will react during future pregnancies. According to a recent study conducted by the University of Southern California and UCLA, genes play a distinctive role in the incidence of morning sickness. It was determined that a woman’s chances of experiencing severe symptoms of morning sickness (Hyperemesis Gravidarium) were increased if a family history among close female relatives exists. Researchers conducting this study determined that women with a family history of either severe morning sickness or Hyperemesis Gravidarium (life-threatening morning sickness) were more likely to experience the same level of severity during their pregnancy. A number of recent studies have also determined that a woman is more likely to experience mild to moderate levels of morning-sickness symptoms if her biological mother or grandmothers (maternal or paternal) have done so. Nausea and vomiting are the most annoying symptoms of morning sickness. Typically, most pregnant women experience some amount of nausea during the early months of pregnancy, while approximately a third of all pregnant women experience vomiting. A number of additional symptoms may occur including headaches, dizziness, and a heightened sense of smell may also occur. Women who develop a heightened sense of smell generally discover that their morning sickness is triggered by certain smells as well. Due to hormonal changes, many pregnant women also experience mood swings. The severity of any morning-sickness symptoms varies among women. In some cases, the symptoms are severest during the earlier weeks of gestation, lessening over time. Although no FDA-approved drugs are presently available that eliminate morning sickness entirely, a few medications are available that have proven to be helpful in alleviating symptoms. Additionally, a number of morning sickness remedies have been used with varying degrees of effectiveness. The following natural remedies have proven quite effective in lessening the severity of morning-sickness symptoms for many women. 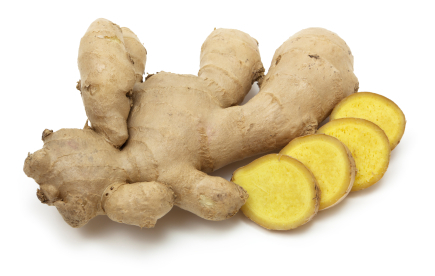 Products containing ginger have proven to be quite effective in combating the symptoms of morning sickness. 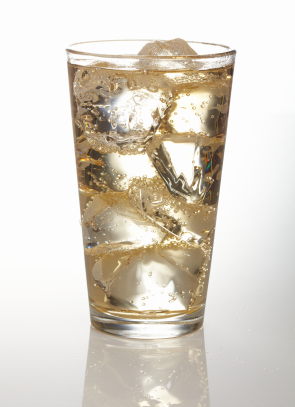 Ginger tea, candy and soda can relieve the sensation of nausea since it acts as a calming agent for the stomach. Since ginger has a strong flavor, sweetening the tea will make it more palatable. Additionally, some studies have shown that taking 1 gram of ginger can alleviate nausea symptoms. It is important to consult your obstetrician before taking ginger for this purpose. Moreover, pregnant women should not take more than one gram of ginger per day or for longer than four days. Ingesting too much ginger can lead to diarrhea, heartburn, or irritations to the mouth. Ginger products have a strong flavor that some pregnant women may not be able to tolerate. Peppermint has long been used to soothe an uneasy stomach. Peppermint leaves contain menthol, potassium, calcium, menthyl acetate, menthone, and vitamin B, all of which are considered to be beneficial to the human body when ingested. Drinking peppermint tea can alleviate feelings of nausea, while also strengthening the immune system. It contains no caffeine. 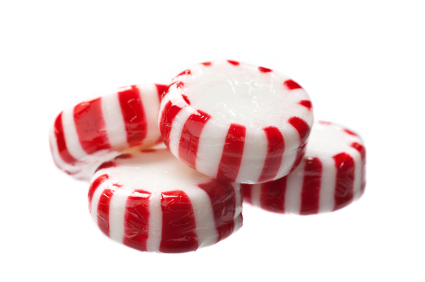 Some women have experienced relief from morning sickness by sucking on hard peppermint candies. A drug-free method of dealing with the unpleasant symptoms of morning sickness, hypnosis is a natural method of treating the queasiness that often accompanies the first trimester of pregnancy. Hypnosis is intended to provide a soothing, relaxing effect that minimizes or eliminates these symptoms. During hypnotherapy, the woman receives suggestions designed to help her deal with her symptoms. For example, she may receive suggestions as to how she will react to the smells, foods, or circumstances that generally lead to feelings of nausea and/or vomiting. Pregnant women who choose to undergo hypnosis to minimize morning-sickness symptoms should see a qualified hypnotherapist. More studies need to be taken in order to provide a better indication as to the effectiveness of this method. According to the American Pregnancy Association, Vitamin B6 may be helpful in minimizing the morning-sickness symptoms of some pregnant women. Vitamin B6, also referred to as pyridoxine, promotes proper immune function, assists in protein metabolism, and plays a part in the creation of new red blood cells. More importantly than that, Vitamin B6 helps to convert amino acid tryptophan to serotonin, which helps in keeping a person’s mood, appetite levels, and sleep patterns normal. Since all of these aspects can have a negative effect by enhancing the symptoms of morning sickness, helping to keep mood swings, appetite levels, and sleep patterns on an even keel is important during pregnancy. Since too much Vitamin B6 can lead to adverse side effects (birth defects, neurological disorders, and numbness in the limbs), it is important for pregnant women to add this supplement to their diet under the care of their obstetrician. In general, a daily supplement of 50 mg, as suggested by the American Pregnancy Association is sufficient to alleviate nausea in pregnant women. However, the exact relationship between the cause and effect are as of yet undetermined. Natural sources of vitamin B6 include dairy products, fish, legumes, nuts, whole grains, and meat. It is also important to check with your obstetrician first before adding any vitamin B6 supplements to your diet since your prenatal vitamin should contain it as well. Acupressure wrist bands have been noted for alleviating morning-sickness symptoms in some pregnant women. Acupressure wrist bands are also known by the name sea bands. They are designed with a small plastic button, which is intended to puts pressure on an area of the wrist known as P6 (pericardium). The pressure created on P6, also known as the Neiguan point, is thought to be responsible for the decrease in nauseous feelings that many people experience while wearing acupressure wrist bands. A natural method of treating morning sickness, acupuncture is a form of traditional Chinese medicine. It is based on the belief that all living beings have qi, a vital energy, circulating throughout them. When this energy no longer circulates properly, the individual can become ill.
Acupuncture involves the insertion of needles at specific points on the body to restore the flow of qi to a normal balance. Acupuncture is sometimes used to alleviate the symptoms of morning sickness. It should only be performed by a skilled, licensed acupuncturist. The only pain involved with acupuncture occurs during the initial insertion of the needles into the pericardium 6 acupoint, located on the forearm. The U.S. Food and Drug Administration classifies acupuncture needles as medical devices. An antihistamine, doxylamine is sometimes prescribed in combination with vitamin B6 for pregnant women. Since it is a sedating antihistamine, it can produce drowsiness, so caution should be used when taking it. When taken with Vitamin B6, doxylamine acts as a pre-emptive antinauseant and has had some success in moderating symptoms of nausea and vomiting in pregnant women. Studies have shown that the combination of doxylamine and vitamin B6 is most effective in alleviating severe nausea and vomiting when taken prior to the onset of any symptoms. Some pregnant women have had success reducing the severity of nausea and vomiting by drinking fizzy drinks such as Ginger Ale or Sprite. Since both of these beverages do not contain caffeine, they are considered safe for the baby. Additionally, since caffeine is a diuretic, drinking beverages containing it can lead to dehydration, placing pregnant women and their babies at unnecessary risk. The carbonation or fizziness of the drinks soothes the stomach, curbing the sensation of nausea and reducing the need to vomit. Since ginger and lemon have already been noted for creating a soothing effect on upset stomachs, both of these beverages offer dual benefits. The effectiveness of fizzy drinks in curbing morning sickness may vary depending on the temperature of the beverage. Aromatherapy is one of the branches of herbal medical treatments. It involves the use of essential oils, culled from herbs and other plants, to alleviate symptoms or heal. During aromatherapy, specific essential oils are utilized according to their properties and intended results. Using inhalation or topical application, aromatherapy stimulates the brain’s limbic system, bringing about changes in emotional and physiological well being. Since the aroma of peppermint has been shown to reduce the severity of nausea or stomach upset, using an aromatherapy diffuser along with peppermint essential oil is quite useful in lessening the symptoms of morning sickness. Placing a couple of drops of peppermint essential oil in a bowl of hot water has also proven to be useful in lessening the effects of morning sickness. Inhalation methods include the use of candles, an aromatherapy diffuser, and steam inhalation. During steam inhalation, a few drops of oil are placed into a hat bath or bowl of water. When used during topical application, essential oils can be added to massage oils or compresses. Lavender, rose, chamomile, and peppermint essential oils have all been proven useful for the purposes of treating morning sickness through aromatherapy. 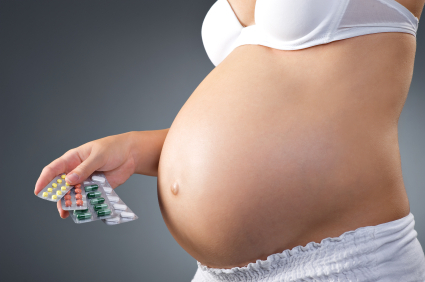 Prenatal vitamins contain higher levels of iron, folic acid, and calcium than regular multi-vitamins. This can often lead to heightened feelings of discomfort or an increase in morning-sickness symptoms. The folic acid is necessary for the normal development of the fetus. The iron and calcium assists are important to both the mother and the fetus. Iron aids with blood flow, while calcium strengthens the mother’s bones. Since it’s important to get the nutrients contained within prenatal vitamins, finding a way to ingest them without feeling nauseous or vomiting is important. Taking prenatal vitamins with food can help to minimize the adverse effects. In particular taking a prenatal vitamin with a meal that is high in carbohydrates or with dry crackers can be helpful in avoiding feelings of nausea. It is possible, though not probable, that a different brand of prenatal vitamins may be easier on the stomach, so it may be worthwhile having your obstetrician prescribe a different brand. Overcoming morning sickness, and nausea in particular, is possible for many pregnant women with the use of lemon to soothe their stomach. 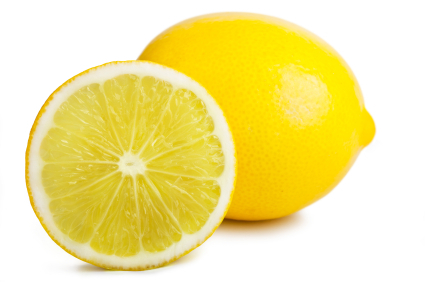 One of the greatest benefits of lemons is that they act as digestive aids. Drinking hot water that has lemon in it or lemon tea can relieve stomach queasiness, while also assisting in the digestive process. Some women have experienced relief from nausea by sucking on hard lemon candies. Sucking on cinnamon jawbreakers has proven to be a useful tactic in avoiding the sensation of nausea for some women. 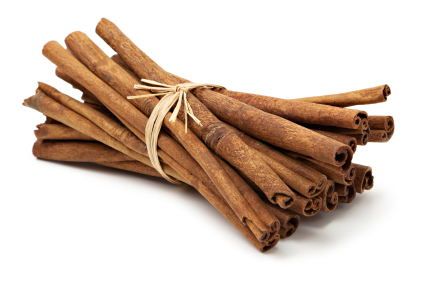 While cinnamon tea, made from cinnamon sticks steeped in hot water, may prove useful in providing relief for an upset stomach, too much of it may be harmful. It should be used in moderation only. Since a woman’s diet and her morning sickness symptoms appear to be linked, it is possible for her to alleviate nausea or vomiting by watching her daily diet. Not only should she watch what she eats, but it is also important to watch when she eats as well as how much food she ingests. Eating smaller meals frequently throughout the day rather than one large meal can lessen morning-sickness symptoms for many pregnant women. Larger meals may upset the stomach by stretching it and adding pressure. In general, pregnant women should avoid fatty, greasy foods since they are more difficult to digest and can lead to feelings of queasiness. 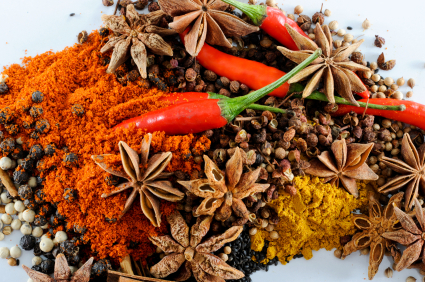 Eating spicy foods can also trigger the sensation of nausea or vomiting due to the strong taste. Therefore, spicy foods should be avoided during the first trimester if a woman is experiencing morning sickness. Women dealing with this condition should avoid foods or beverages with flavors or odors that lead to nausea or vomiting. In particular, spicy foods such as garlic and hot peppers should be avoided. It is important to avoid foods that are high in salt and fat as well, especially since these are generally lower in nutrition and can lead to complications. Eating a small snack right before bed or when getting up during the night is helpful in curbing feelings of nausea when a woman first arises from bed in the morning. Women who are pregnant should eat slowly in order to feel full faster, while also limiting the potential of experiencing nausea by overeating. Drinking liquids in between meals rather than with them during the first trimester may also prove helpful in lessening the symptoms of morning sickness. Drinking soothing beverages such as peppermint tea, water with lemon, ginger tea, lemon tea, and ginger ale is helpful in minimizing symptoms of morning sickness, while also assisting in hydration. Women should experiment between hot and cold beverages to find out whether cold or hot drinks provide the most relief. It is important to remain hydrated in order not to experience any additional adverse effects on the pregnancy as well. Drinking plenty of fluids is the best way to remain hydrated. Morning sickness can take a lot of wear-and-tear out of a woman. It’s important to seek the kind of emotional support that is going to make you feel more positive about the experience while remaining focused on the ultimate goal of having a healthy baby. In particular, keep communication lines open with your significant other so that the two of you can support each other during this time of change. Talking about what you are going through with your spouse or significant other can lead to the kind of emotional support that you need, whereas remaining silent won’t help you find a shoulder to lean on during those times when you need one. A full night’s rest goes a long way to restoring a pregnant woman’s mood and ability to cope with the physical changes that her condition places upon her body. Taking prenatal vitamins during the night can avoid the feelings of nausea that often accompany their ingestion. Getting up from bed slowly is helpful in avoiding the feelings of nausea and dizziness that often occur in the morning. Since smells often trigger feelings of morning sickness, developing a strategy for avoiding certain smells and keeping the home well ventilated is an important part of dealing with this condition. Circulating the air in the room or home to reduce the strength of any odors that may be present can be quite helpful. Additionally, avoiding an area where someone else is smoking can prevent the triggering of symptoms. A pregnant woman whose morning-sickness symptoms become triggered by certain smells should find someone else to cook, clean, and do the laundry during her first trimester. If this is not possible, keeping the windows open or circulating the air may prove helpful. ·	Get plenty of sleep. The more rested you are, the better you are going to feel. ·	Find “me” time for yourself for a small portion of each day. ·	Talk to your doctor about any concerns that you have rather than worrying over them. ·	Plan ahead and start to prepare so that you feel ready for the big event. ·	Look at family photographs of yourself and of your significant other when you were both infants. ·	Join a group for pregnant women so that you can share your experiences. In general, morning sickness does not have an effect on your unborn child as long as you remain hydrated, take your vitamins, get proper rest, and get as much healthy nutrition as possible. Only in the rarest cases of Hyperemesis Gravidarium is the fetus at risk. A prompt visit to the doctor and subsequent care eliminates the risk in most cases. Women who experience severe morning sickness will most likely undergo a series of medical tests to determine whether their symptoms are the result of Hyperemesis Gravidarium or if another medical condition exists. Possible tests include those that check for thyroid disease, fatty-liver disease, gastroenteritis, pancreatitis, cholecystitis, hepatitis, kidney disease, and ulcers. The existence of an obstetric condition, including molar pregnancies and multiple births, will also be checked if it hasn’t already been done. Hyperemesis Gravidarium refers to nausea and vomiting occurring during pregnancy that is severe enough to lead to dehydration, a condition that is caused by a lack of fluids within the body. Vomiting generally leads to the loss of fluids contained within the body, while nausea often reduces the amount of fluids that is ingested throughout the day or evening. If these fluids are not replaced, the body becomes dehydrated. Severe dehydration is a life-threatening condition that may result in hospitalization. Hyperemesis Gravidarium is a serious condition that can lead to the production of ketone, which is toxic to a human fetus. She will be asked to provide a detailed list of symptoms as well as changes her condition, including whether or not any other symptoms are present such as breast tenderness, headaches, excessive thirst, abdominal pain, dry mouth, or unintentional loss of weight. Morning sickness ends during the fourteenth to sixteenth weeks of gestation. This is during the end of the first trimester or early portion of the second trimester. Morning sickness is a normal part of pregnancy. While the symptoms that a pregnant woman experiences may be uncomfortable or annoying, they are only temporary. Plus, a variety of options are available that may minimize these symptoms. It’s important to try as many as possible so that you can find the tips that assist you in alleviating your morning sickness. Perhaps you have discovered that some tips work better than others or you have even found new ideas that work really well for you. Why not share your experiences here so that other women can benefit from your experience with morning sickness? You can also share what you are going through with other women who are going through the same kind of experience.